We’d love your help. Let us know what’s wrong with this preview of Native by Kate Herd. When Kate Herd started experimenting with how she pruned and trained the native plants in her riverside garden in Melbourne, she made some amazing discoveries. A eucalyptus shrub she had cut right back Native offers planting palettes and design themes, gardening techniques and inspiration for an original and exciting perspective on the very best of Australian local flora. When Kate Herd started experimenting with how she pruned and trained the native plants in her riverside garden in Melbourne, she made some amazing discoveries. A eucalyptus shrub she had cut right back to the ground reappeared as the most beautiful sprawling ground cover. Westringia was shaped to impersonate perfect English Box balls. And she found that Tasmanian beech trees could grow as a copse in small city courtyards. 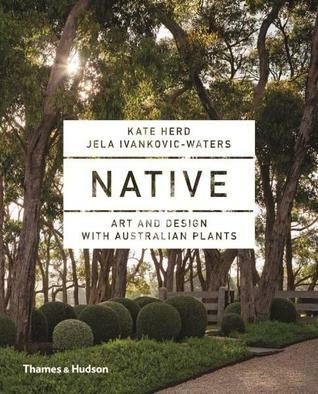 Jela had similar experiences in her own garden design practice and together Kate and Jela have explored the unique beauty and resilience of Australia’s native plants. Known for their absolute versatility and hardiness in the garden, native plants also offer up original forms for cut flowers and sculpture. To ask other readers questions about Native, please sign up.